Hi everyone!! 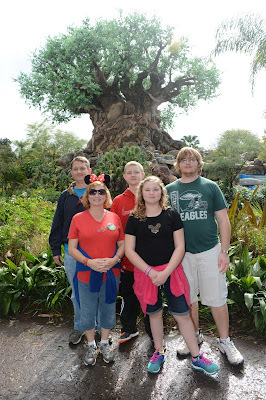 My name is Lori, I am a Disney-holic and I have the honor of being the new guest blog contributor here at Kingdom Konsultant Travel. I am thrilled beyond measure to have this amazing opportunity. What better activity for a self-proclaimed Disney addict than to expound on my favorite subject and hopefully share a little Disney magic in the process?! In the "real world" I am a remediation educator in a small community elementary school in rural NC. I have "been happily ever after" married to my best friend and other (better??!) half, Shawn, for almost 23 years. Cinderella isn't the only one who got her prince! We have been greatly blessed with 2 sons, ages 18 and 16, and one sweet princess age 13. Yes, I am living in a house full of teenagers. (Prayers are welcome!!) I admit I may be a bit biased but I think they are some of the most amazing young people around. Two obedience challenged dogs add to the general chaos that is my life. My days are filled with the 250+ students that have my heart at work, my kids and their activities, and my church. On a personal note, I am a football fanatic; I love swimming, a good horror movie, and of course, Disney!! I always end up back at Disney. Why the obsession you may ask? Why would a 40 something adult woman with 3 teenage kids feel so strongly attached to what some of the populous views as "just an amusement park"? The answer is surprisingly simple. HAPPINESS. Disney is my happy place. I have such sweet, precious memories associated with that one small piece of Heaven on God's green Earth. 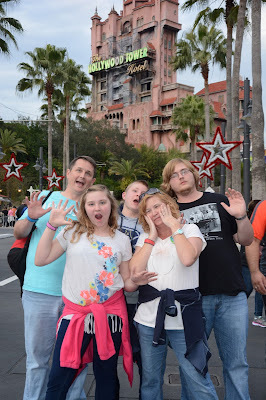 When I think of Disney World I see my children's smiling faces. I hear their laughter. I can picture the joy shining in their eyes. My children have grown up with Disney. They are almost as obsessed as I am. An indication that I have done something right as a parent in my humble opinion. Have all our trips been perfect with blue skies and dreams come true? No. Not by a long shot but the happiness just outweighs all of that. Disney World is the one place we all agree on. Just as soon as one trip ends the whole gang begins pestering for another one. 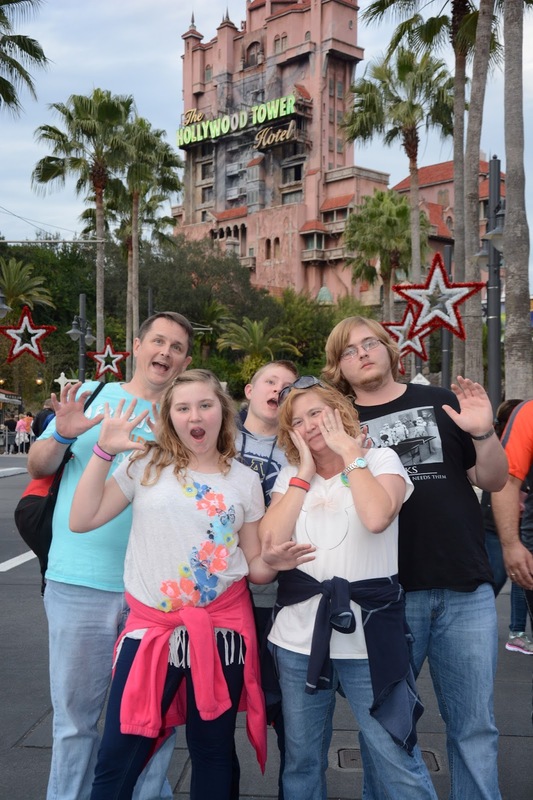 I've done Disney World with no kids, infants, toddlers, tweens, and now teenagers. Disney just somehow magically grows as my family grows. On each trip I get that same feeling of euphoria the moment I step on Main Street USA. The music, the smells, the smiling CMs with huge bouquets of Mickey balloons just create an avalanche of happy feelings. I swear my toes tingle!! Each trip is also a new adventure with a fresh sense of amazement. How a toddler views the Magic Kingdom is totally different from that of an 8 year old. And that is totally different from a teenagers' outlook. We MUST do Tusker House for breakfast each trip but scour the menu religiously before we go to decide what is new that we just have got to try. Disney never gets old! It is a wonderful blend of old friends and new discoveries with hidden treasures thrown in. I simply can not wait for the next adventure to begin! I realize this is getting long and perhaps tedious as I ramble on and on. Those afflicted with the same addiction as me will understand and totally get me. Those who still look at me with confusion...oh, well. That's okay, too. I will just keep singing "it's a small world" under my breath, wearing my Mickey Mouse tees, and compulsively reading every Disney related blog or information site I can find. I will keep planning and re-planning my next magical adventure at my home away from home. I will keep closing my eyes and swearing I can hear the music, see the colors, smell the unmistakable scents, and feel the excitement in the air as if I was really there. After all, it is in my blood. Just look at those Mickey shaped cells! !